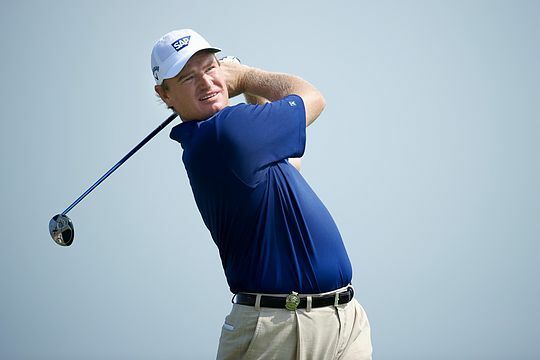 In a major coup for tournament organisers, four-time major champion Ernie Els is on his way to Melbourne for November’s Australian Masters at Huntingdale. Els already has a terrific record on sandbelt courses and even though he is getting towards the veteran stage, at the age of 45, he won three successive Heineken Classics at Royal Melbourne when he was at the peak of his powers from 2002-2004. And that affinity with one of the world’s great courses probably began when he was part of the only successful International Presidents Cup team (so far) when they won at ‘RM’ in 1998. Huntingdale, too, appeals to the man known world-wide as The Big Easy – he finished second to Craig Parry at the 1994 Australian Masters when it was played there. “I do have many great memories of Australia,” Els said. Els is now ranked a surprisingly low 129th in the world although he has an amazing record having won 19 times on the US PGA Tour and 28 times on the European Tour, coupled with 33 other worldwide victories. The big South African is already in the World Golf Hall of Fame and will draw big galleries of golf fanatics keen to see the 1.91m gentle giant show his silky skills to the Australian public. The Australian Masters will be sanctioned by the PGA Tour of Australasia and broadcast on the Seven Network across Australia for five hours on each of the four days. It will be played from November 19-22.